We are proud to present the official trailer for our first short film! 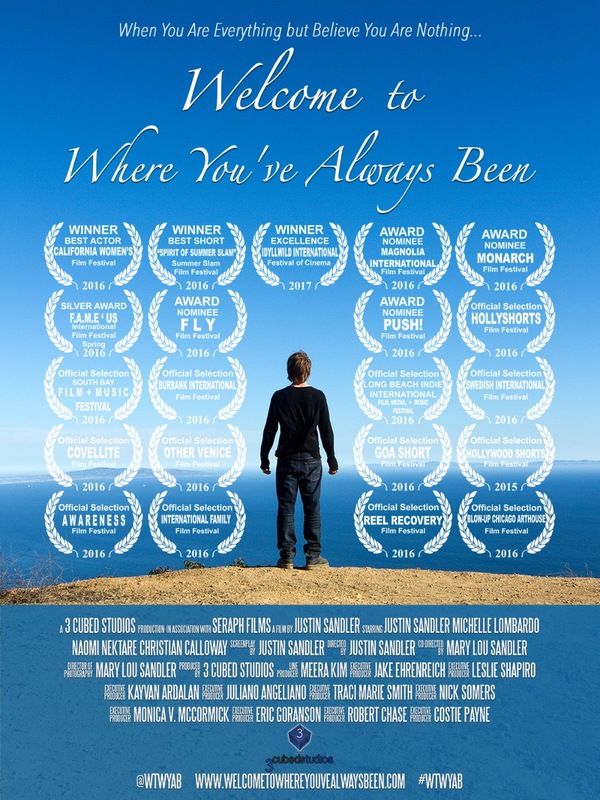 "Welcome to Where You've Always Been"
'Welcome to Where You've Always Been' is a story about a champion spoken word poet named Devyn Duncan who has everything, but is blind to the blessings around him. He must find a way to overcome his depression and demons before his overwhelming desire to end his life wins the battle. He turns to alcohol to cope with the pain while hiding his suicidal thoughts from his wife, but she has a secret of her own which could change everything. 'Welcome to Where You’ve Always Been’. The film is now complete and the festival circuit is in stride! We have already been accepted into 10 film festivals with many more awaiting judging. We have won 2 awards thus far including the Best Leading Actor Award for Justin Sandler at the California Women's Film Festival! When we began this process in the summer of 2015, we launched a very successful fundraising campaign in order to create a production budget to shoot the film. As we began submitting and getting accepted into film festivals, we quickly realized that the film festival circuit also costs a considerable amount of money. Now that we have completed the film itself, we must see it through to the end. This means attending every festival we screen at for the next year... This is where you get the media, publicity, and create the relatonships that will not only get your film seen and recognized, but also where future opportunities are created. Our film tackles the issues of depression and suicide. The biggest inspiration for us to get this film out is so that it can be an inspiration to those in need... a light to shine the path for anyone struggling with depression. We plan to save lives... at the very least to give hope. And that means getting this film in front of as many audiences as possible, including screenings at treatment and youth centers. If we get into a festival and cannot attend, that means we won't be present for interviews, we won't be part of Q&As and filmmaker panels, and we won't be present for awards ceremonies. In other words, attending the festivals is crucial to the success of this film and it's message. Along with attending the festivals, we need to print up posters, fliers, mail DVDs & Blu-Rays, and for some festivals order DCPs (Digital Cinema Package). All this = VERY expensive. We are not just asking for simple handouts. We are willing to work hard in exchange for your donation. Therefore we are going to offer perks throughout this campaign. We are happy to accept donations of any size... even $1! However, if you would like to choose a perk, please check out some of the packages below. It is with great gratitude and thanks for your support! Our mission is to keep creating the opportunity to continue making littlefilmsBIGmessages.com - short films to inspire hope to everyone. 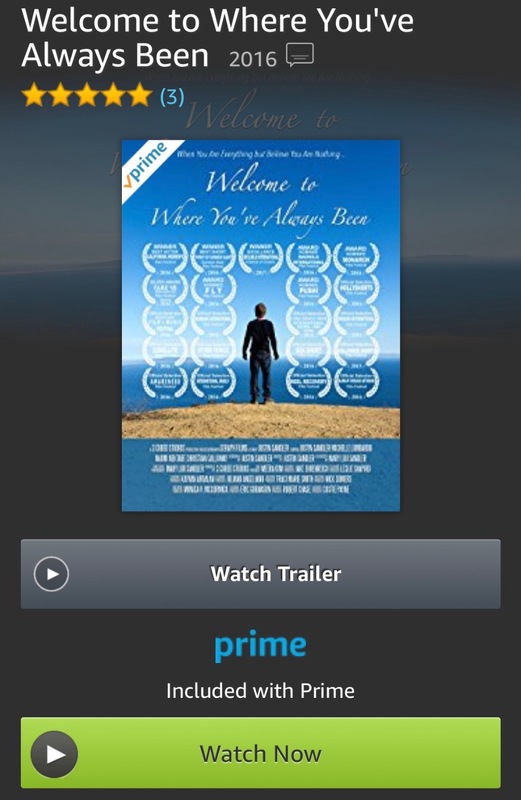 We have exciting news... our film is NOW LIVE on Amazon Prime! It’s available for rent, buy, or FREE w/ your Prime account! Over 200 people (including many of you) helped make this film that toured 21 festivals & won 5 awards! Please watch, review, & share TODAY! 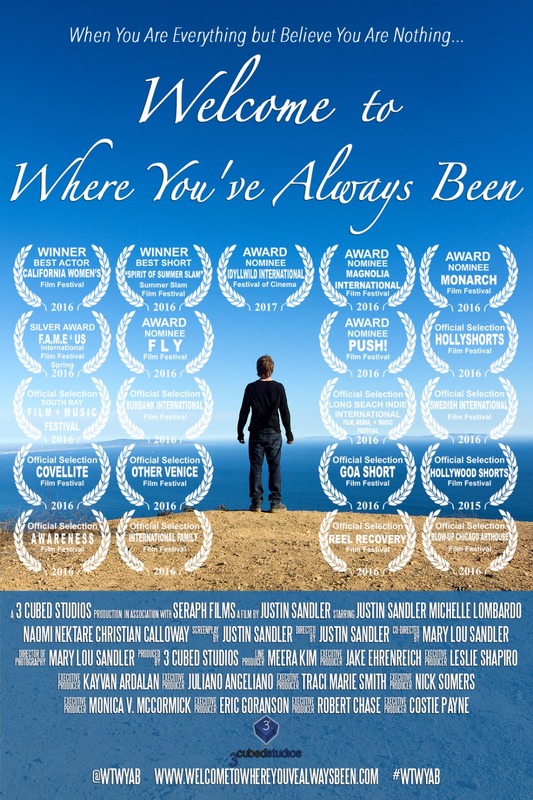 "Welcome to Where You've Always Been" is set to launch 4/3/18 on international cable network ShortsTV ( http://www.shorts.tv) & Amazon Prime! 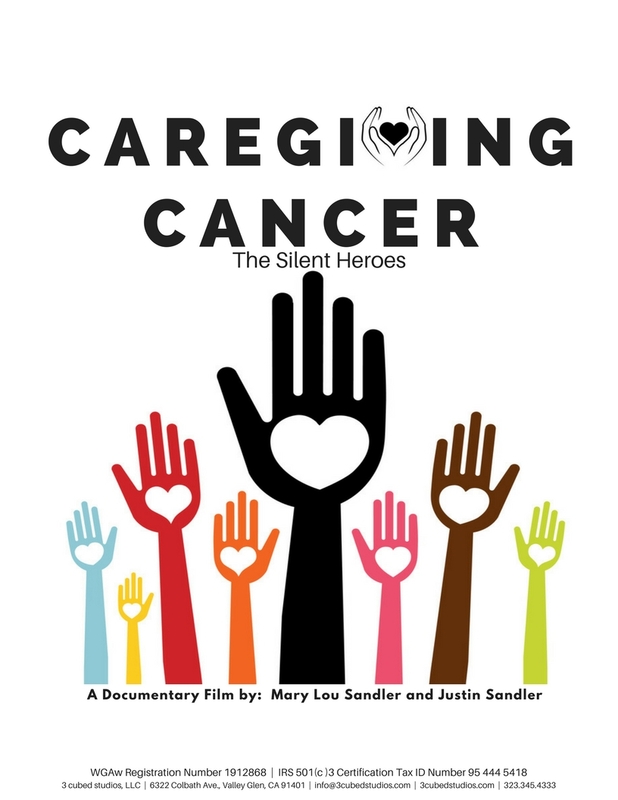 After an award-winning, 21 festival tour, followed by an intense, year-long cancer journey, Mary Lou Sandler & Justin Sandler of 3 cubed studios, LLC are proud to announce the highly anticipated release of their 1st short film! To everyone who has been a part of it... from our generous donors to our talented cast and crew... Thank you! Please share with your friends & family. We love you! 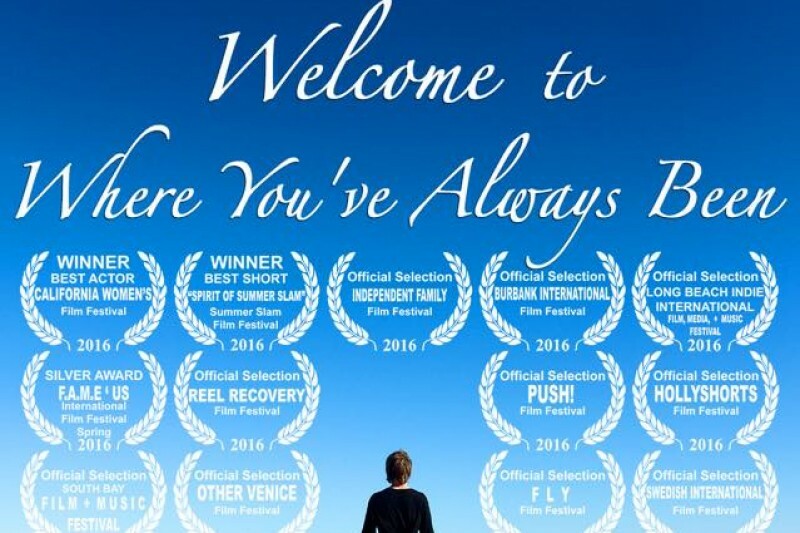 Now, on to some very exciting news… “Welcome to Where You’ve Always Been” has received distribution! We are signing a 3 year contract to appear in rotation on a cable/satellite network called Shorts TV. This will appear in America as well as several other countries around the world. Once we have an official launch date, we will share it with you so that you can find it on your local carrier. And furthermore, we now have our own studio account with Amazon and we will be simultaneously launching our film on Amazon Prime! We are creating a platform where people around the world can see the film as well as be able to showcase the amazing work of our actors and crew. We feel that Shorts TV and Amazon Prime will be a fantastic home for our film and we are excited to share it with the world. “Welcome to Where You’ve Always Been” has been an incredible experience from day one and you all have been a huge part of the film from the beginning. On behalf of Mary Lou and myself, thank you so much for believing in us, supporting us, and standing by our side throughout all of the ups and downs of both filmmaking and life. We have all grown tremendously and our mission of creating inspiring content is stronger than ever. We want to thank you all for being so patient with us as we had hoped to fill perks last May and were not able to do so. Every day is still very physically challenging for me and emotionally challenging for both of us. But we will be fulfilling perks as soon as possible. Through this journey, we have been very inspired to start two ‘after cancer’ documentary films. Both films have been approved for 501(c)3 fiscal sponsorships. We start shooting in late October 2017 while traveling in an RV across the USA. We are very excited to share these two very inspiring and resourceful films with you, so stay tuned as well for big announcements to come. A Private Streaming Video Link! Be one of the first to view our film before we go public after the film festival circut! A DVD, a Private Streaming Link, and a Signed Film Flyer! A Signed Movie Poster, a DVD, a Signed Copy of the Script, & a Private Streaming Link! An Edited Acting or Promo Reel by our film's Writer / Director / Star Justin Sandler. (Reg price - $200) Up to 5 mins. Throw a part at your place (LA only) & filmmakers Mary Lou & Justin Sandler will come over w/ all kinds of signed goodies + present the film & have a Q&A! We love you both!! Keep making it happen!! 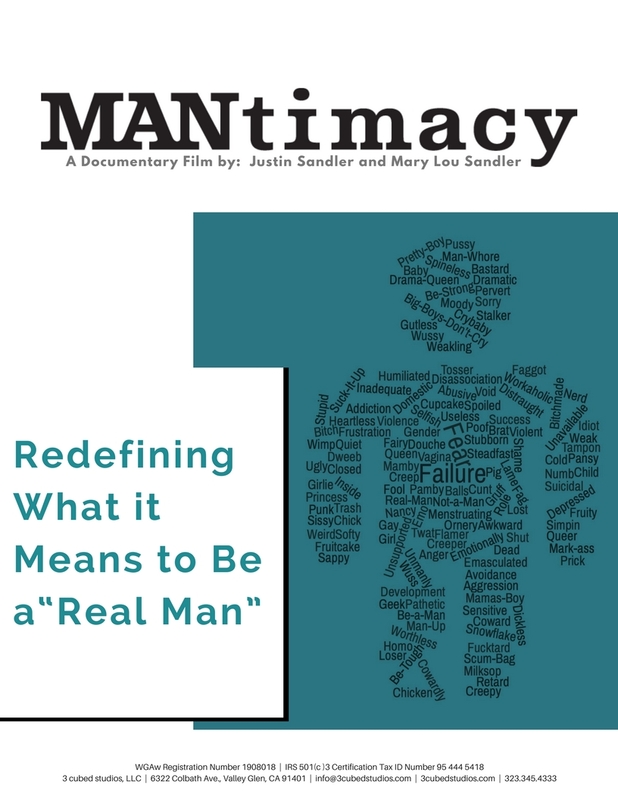 Great film, important topic! Loved it! Best of luck to you guys! Great cause!